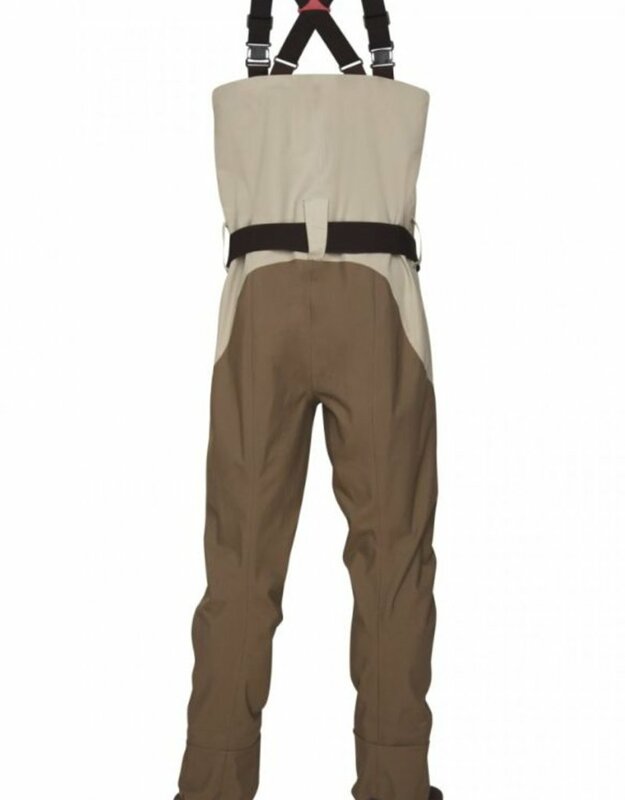 Designed for comfort and fit, this grit/tannon-colored wader provides for full range of movement with no binding, and best of all, there is still plenty of room to layer-up when needed. 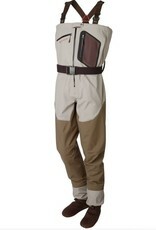 These durable waders are perfect for keeping you comfortably cool and dry in any water or weather condition. 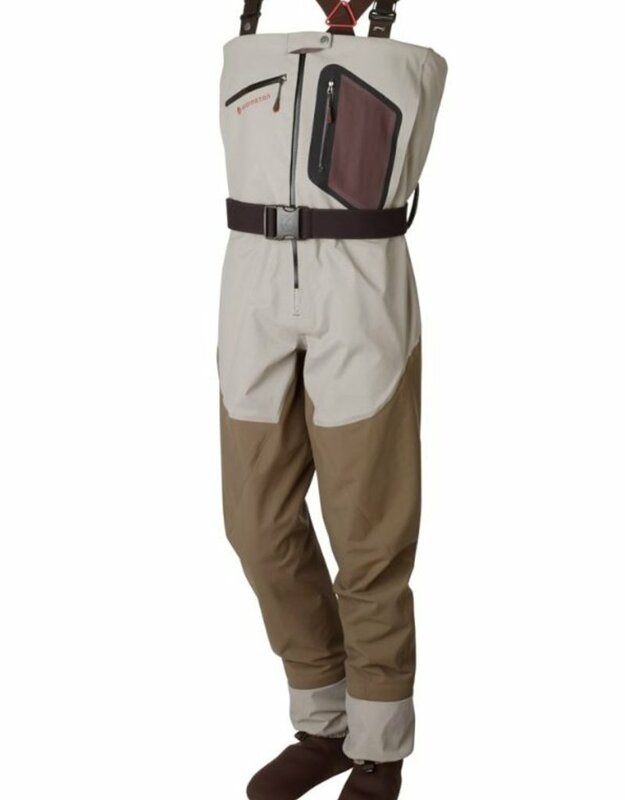 The Sonic Dry Fly™ Wader ™ is Redington’s premier wader, the perfect choice for guides and anglers who are on the water constantly, jumping in and out of boat all day, or even on day-long hikes. High-tech Ultra-Sonic welded construction (seams adhered with sound as opposed to sewn) boasts double-taped seams that keep your wader intact, year after year, and provides unrestricted mobility. The center YKK AquaSeal zipper is smaller and smoother for a sleeker contour that makes dressing that much easier, complete with a snap tab at the top of the zipper to ensure it stays closed. Additional 4-ply nylon fabric gives added durability to lower leg and seat areas where abuse is high. 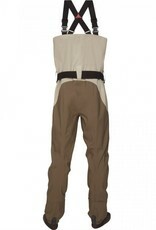 X-Back suspenders are simple to adjust and opposing suspender buckles allow chest wader to be easily converted to high-waist wader. The adjustable waistband and removable suspenders ensure a comfortable fit.